Box turtles are a common pet store mainstay. Over the years, box turtles have acquired the erroneous reputation of an "easy to care for pet". This may be due to the fact that at one time, the majority of people keeping box turtles lived within the natural range of their pets and housed them outdoors, thus greatly simplifying the captive care required. As the reptile trade began to boom in the early 1990's, more and more box turtles were collected from the wild and shipped to pet stores all over the nation, and the world, to supply the burgeoning demand for reptile pets. With the increased availability of box turtles to persons living in very different geographic areas, often far away from the natural habitat of box turtles, came the realization that they were not easy captives to maintain without the proper guidelines. Because box turtles are not easy captives, it is important to discuss their suitability as a children's pet. 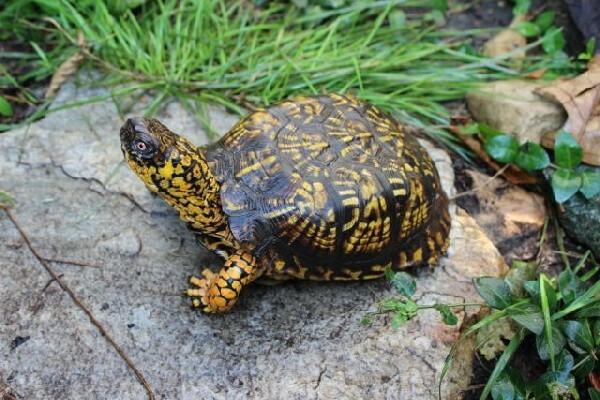 Because box turtles have acquired the reputation as easy reptile pets, many parents choose box turtles when purchasing a reptile pet for their children. Box turtles, if cared for properly, are excellent and long-lived pets, but, children are not capable of providing the involved captive care that box turtles require. Parents MUST take full responsibility for the care of the animal and must always supervise interactions between children and box turtles. Parents must always watch their children when they handle box turtles because of the risk of salmonella infection. Box turtles, and many other reptiles, can carry salmonella bacteria which can make humans, especially young children, the elderly, and persons with compromised immune systems, very sick. The risk of salmonella infection is low if proper hygiene practices are strictly followed. Do not allow children (or anyone else) to kiss box turtles. Every one who handles the animal must wash their hands with anti-bacterial soap afterwards. When cleaning the enclosure, do not use the kitchen sink, and do not allow items like food dishes or cage furniture in areas of food preparation. If these procedures are followed, the risk of salmonella infection is small. When considering purchasing a box turtle, there are a few facts worth noting. Box turtles prices are generally cheap and do not reflect their actual value. The retail price is anywhere from $10-$50, but the proper indoor set-up for box turtles will cost 2 to 10 times the purchase price of the animal. Almost every box turtle seen in the pet trade is a wild collected adult animal. This is due primarily to a law passed in the late 70's by the FDA that made it illegal to sell turtles or tortoises under 4 inches in carapace (shell) length. Due to the 4" law, reproductive adults are removed from wild box turtle populations for the pet trade in alarming numbers because captive born box turtles do not exceed 4" for several years. This trend cannot continue; within the next ten years it is likely that box turtles will be a protected species and wild caught adults will not be available in pet stores. Because of this, think twice about purchasing a box turtle, unless it is captive born. If you do purchase one however, make sure that you obtain a healthy box turtle and provide the proper captive care. When looking for a healthy box turtle, the first thing that should be noted is the external appearence. Healthy box turtles have clear, alert eyes, clean nostrils, smooth shells, and no visible large lumps on their skin. Make sure the check inside the animal's mouth. Any "cottony" or "cheesy" looking matter may indicate mouth rot. One of the most important aspects of purchasing a box turtle is purchasing one from knowledgeable persons or from a store that has knowledgeable employees. Observe how the animals are housed. If the box turtles are not housed correctly do not purchase one, as the sellers most likely cannot help with correct captive care advice. Ask the employees or vendor what box turtles eat and what type of cage set up they need. If they do not mention most or all of the five requirements listed below, find another store or vendor to purchase your box turtle from. Pet stores with knowledgeable employees or knowlegable vendors can help with trouble-shooting and captive care advice after a purchase has been made. Many of the box turtles purchased by the general public die within the first 6 months to 2 years of captivity because they are not cared for properly. Box turtles require five things in order to fare well in captivity they are: proper heating and lighting, correct enclosure size, high humidity, proper diet, and a natural hibernation period. Proper heating is critical when caring for box turtles in captivity. Without proper heating, many box turtles will become ill. The most commonly seen illness caused by lack of proper heating is respiratory infections. Box turtles with respiratory infections often wheeze with labored breathing and produce bubbly mucous from their nostrils. If a box turtle has these symptoms, take it to a qualified reptile veterinarian. Not all veterinarians are qualified to care for reptiles, so be careful to check out their credentials. 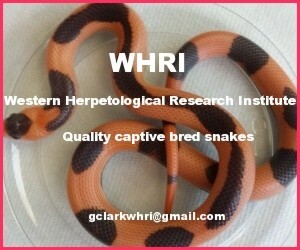 A good way to find a qualified reptile vet is to contact a local reptile society and ask for a reference. Many box turtle husbandry problems can be avoided by simply offering one area of the cage that is heated to 85-88 degrees F. This can be accomplished in a number of ways. Heat rocks however, are not suitable heat sources for box turtles. Heat rocks provide only one small area of localized heating, and are difficult for box turtles to utilize. Often, heat rocks are too hot and can cause serious thermal burns. 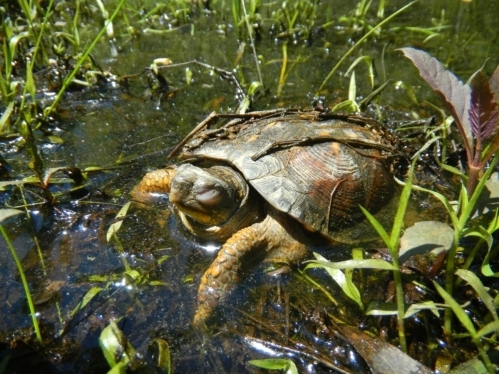 If a heat rock must be used, bury it in a substrate such as peat moss to prevent the box turtles from burning themselves. The best sources of heat for box turtles are either overhead incandescent heat lights or quality undertank heating pads. They can be used in conjunction with each other quite effectively to provide daytime and nighttime heat areas. Whatever source of heat is used, it must provide an area of the cage where the ambient (air) temperature where the animal is basking is 85-88 degrees F. Undertank heaters can be left on a night to keep one side of the cage warm without disturbing the box turtle's sleep. During the day, the heat light and heating pad should be left on for 10-12 hours. At night, turn off the heat light, and if temperatures in your house do not drop below 60 degrees F, you may turn off the heat pad as well. The enclosure the box turtle is in must be set-up to provide a thermal gradient, so that the turtle can warm up if its too cold, or cool down if its too hot. Hiding spots should be placed at both the warm spot and the cool spot so the box turtle can feel secure in either spot. There is quite a bit of controversy regarding box turtles and full-spectrum lighting. Full spectrum lighting refers to a special type of fluorescent bulb manufactured for use with reptiles. Full spectrum lights simulate the wavelengths of natural sunlight. Irradiation by certain wavelengths of light is thought to provide some reptiles with vitamin D3, which is necessary for the absorption of dietary calcium. Without full spectrum lighting, many reptiles suffer from a calcium deficiency known as metabolic bone disease, often termed "soft shell disease" when seen in turtles. Some experts say that box turtles do not require full spectrum lighting, but it is good for their psychological welfare. Other experts say that full spectrum lighting is necessary to prevent calcium deficiency. Sufficed to say, full spectrum lighting certainly does no harm, and may do a world of good, so it is recommended for use with box turtles. Box turtles need a good size enclosure in order to provide for the proper range of heating and humidity. The smallest size indoor enclosure one box turtle should be kept in is 3 x 3 x 2 ft. (l x w x h ) For two box turtles, the minimum enclosure should be at least 4 x 4 x 2 ft. Forcing box turtles to live in an enclosure that is too small is very stressful, and will contribute to their demise. Often, box turtles are sold in pet stores with "kits", which includes supplies required for their care. Many times, the enclosure provided in these kits is a standard ten gallon aquarium. A ten gallon aquarium is not appropriate housing for an adult box turtle, and if sold as part of a care kit, is an indication that the store does not know what the animals really require. Most box turtle subspecies require a relative humidity of 60-80% in at least one area of their enclosure. Box turtles that are not provided with the correct humidity often suffer from infected and swollen eyes and ear infections. Box turtles kept in enclosures with low humidity spend a lot of time buried in an effort to reach an area that is moist. Providing high humidity is easy. In one corner of the enclosure, provide some peat moss and wet it down with water until it is fairly moist. A hiding area, such as a cardboard box or large plastic container with ventilation holes should be placed over the wet peat moss area. This area is the box turtle's "humidity site" and will help to keep the relative humidity high. Peat moss dries out rather quickly, especially in dry climates, so it must be checked constantly and rewetted as needed. In addition, a large, shallow water dish should be provided so the turtles can soak. Box turtles must have clean water available at all times. Box turtles are omnivorous, meaning that they east part of their diet as vegetable matter, and part of their diet as animal matter. At each feeding, box turtles should be offer both a mixed salad and some animal protein. Appropriate animal protein sources include: domestic crickets, mealworms, nightcrawlers, and high quality, low-fat wet dog food. The salad should be composed as follows: 60-70% Dark, calcium rich greens such as mustard, collard, endive, and dandelion. Romaine lettuce can be offered occasionally, but completely aviod iceberg (head) lettuce as it is very low in nutritional content and box turtles will often eat it to the exclusion of everything else. 20-30% of the salad should be vegetables such as grated carrots, squash, pumpkin, zucchini, and thawed frozen mixed vegetables. The remaining 10-20% can be assorted fruit and flowers such as dandelion flowers, hibiscus flowers, prickly pear fruits, raspberries, strawberries, cantaloupe, melon, papaya, mango, and kiwi. Box turtles need a varied diet, so switch around the ingredients in the salad, and offer different types of animal protein. For example, one week offer crickets and a salad of mustard greens, collard greens, carrots, squash, and strawberries, and the next week offer nightcrawlers, and a salad of thawed mixed veggies, dandelion greens, endive, and kiwi fruit. There are several dietary items that should be fed sparingly or not at all. Spinach and beets should be given in small amounts or avoided because these vegetables contain oxalic acids which bind calcium, making it unavailable to your turtle. Vegetables like cauliflower, brussel sprouts, cabbage, kale, and broccoli should also be offered in small amounts or avoided because these contain iodine binders that can cause thyroid problems. In addition to a varied diet, box turtles should receive calcium and vitamin supplementation once a week for adults and three times a week for juveniles. 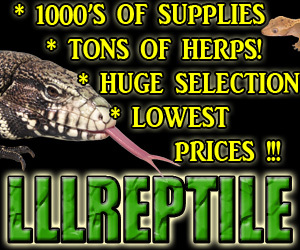 Calcium and vitamin supplements are available at reptile stores. Box turtle subspecies that originate from areas with cold winters should be allowed to hibernate as they would in the wild. There is anecdotal evidence that natural hibernation is essential for the well-being and longevity of box turtles. Most box turtles sold in pet stores are wild caught adults and have a strong hibernation instinct. Many wild caught adult box turtles will stop eating in the late fall, even if they are kept warm. Box turtles that are ready to hibernate refuse food and spend the majority of their time buried, unmoving, in the substrate of the enclosure. If housed outside, a box turtle that is ready to hibernate will find an appropriate site and remain there, usually buried at least half way in the ground. Outdoor box turtles must be watched carefully when they choose their hibernation site, make sure that the area they have chosen is safe from children, pets, flooding and freezing. Make careful note of the chosen site, it is easy to loose a buried box turtle in a large yard. Box turtles generally hibernate from fall to spring, depending on temperature. To prepare a box turtle for hibernation, do not feed the animal for two weeks, but keep the heat on to allow the animal to fully digest any food left in the intestinal tract. Soak the box turtle in a shallow container of lukewarm water a few times during this period for about 10 minutes, this will help to hydrate the animal and to remove any food left in its system. Box turtles hibernated with food still present in their intestinal tract can die from massive infections as the food rots inside them. Hibernating box turtles indoors requires a "hibernation box". A cardboard box half filled with moist potting soil or peat moss with holes punched in the sides for aeration is appropriate for box turtle hibernation. After all the food has been cleared from the intestinal tract, introduce the turtle to the hibernation box. If the box turtle buries down into the substrate and remains still, it is ready for hibernation. If the animal is moving restlessly around after 20 minutes in the box, return it to its regular enclosure, wait a few days, and try again. If the box turtle is ready, move it to an unheated room or other safe location where the temperature will remain between 40-55 degrees F. Check the hibernating box turtle (indoors or outdoors) once a week to make sure it has not surfaced prematurely. Box turtles that experience temperatures above 65 degrees F for a few days will usually come out of hibernation. After the box turtle has come out of hibernation, return it to its regular enclosure, warm it up, and offer food. It is important to observe the health of the animal closely at this time, many problems occur after the hibernation period. If the turtle has swollen eyes, tympanic membranes, or bubbly mucus from the mouth or nostrils take it to a qualified reptile veterinarian immediately. If cared for properly, box turtles make fascinating and long lived pets. If your intention is to purchase a box turtle as a pet for a young child, realize that children cannot care for box turtles by themselves and require constant supervision when handling box turtles, both for their safety and the turtle's. Box turtles are demanding as pets, but are worth all of the effort required to maintain them properly in captivity. Box turtles are one of the most abused animals in the pet trade because many people who buy them do not know what they are getting into, do not contribute to this problem. There are many excellent books on box turtle care on the market, make sure to purchase one before purchasing the animal, it will make both your lives easier.